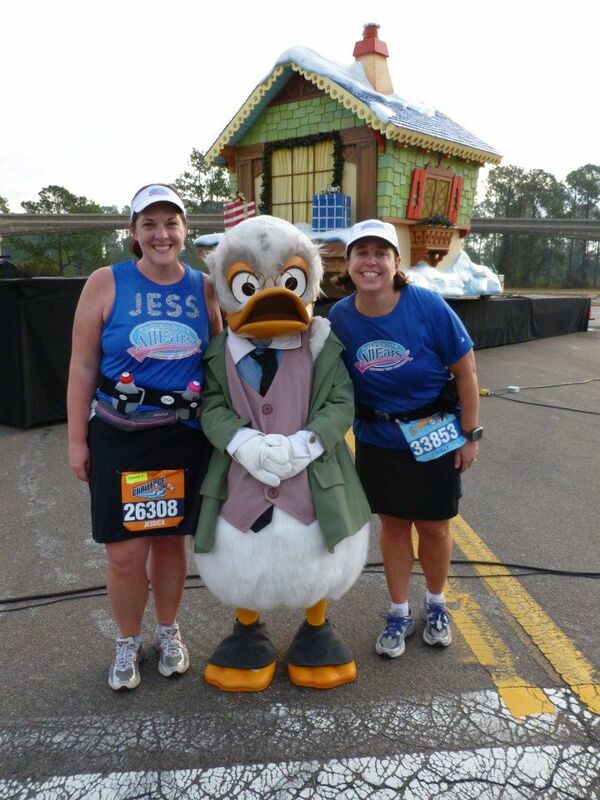 Why does Disney have to have such fun races that start so early? That was my theme for the weekend. 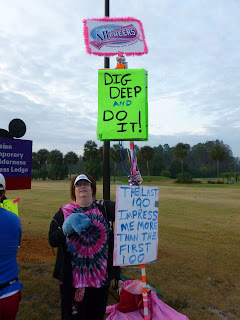 Dave and I got up at 2:30am and got ready to go to the Half Marathon start area. We drove over from our hotel, The Boardwalk Inn, and had no trouble getting into the parking lot. We made our way over to the Team AllEars Meet area and it was great to see everyone. We were all excited and nervous, but for once not freezing. It was a perfect morning. 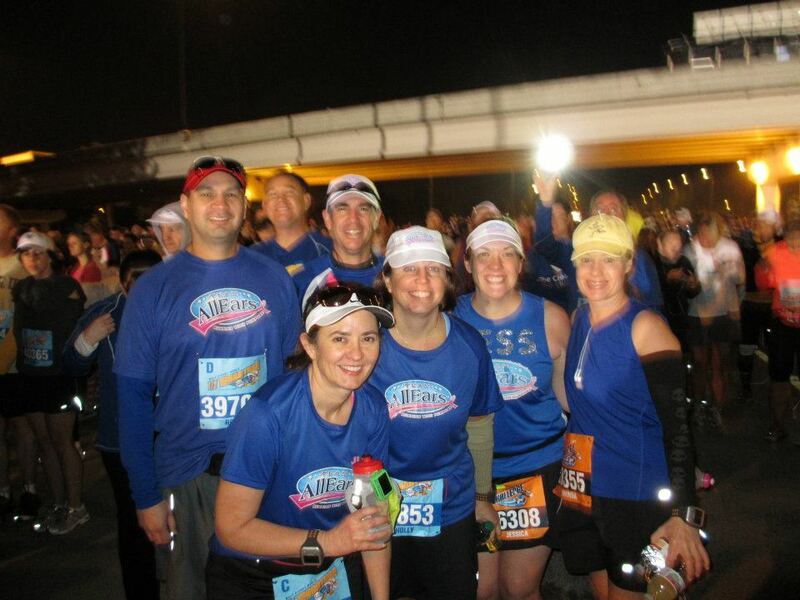 We had a great motivational speech from Deb Wills and then made our way to the corrals. 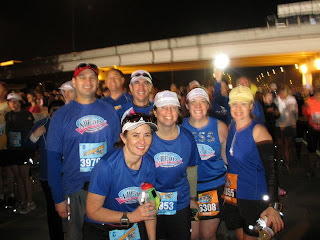 Jessica and I decided to run together and we waited in Corral D with Rhonda, Jill, Robert, and Brad. 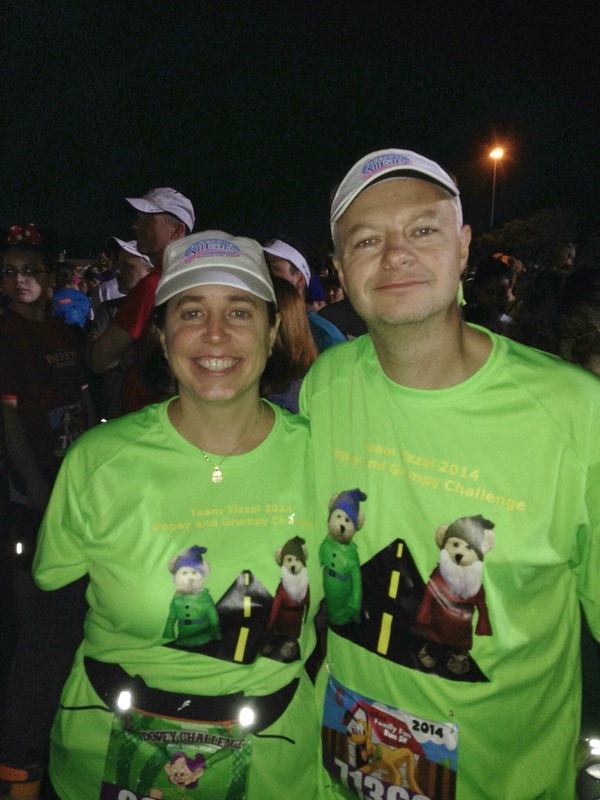 It wasn’t long until the fireworks went off and we were off and running. The announcer, Rudy Novtny, gave several Team AllEars shout outs and it was awesome! 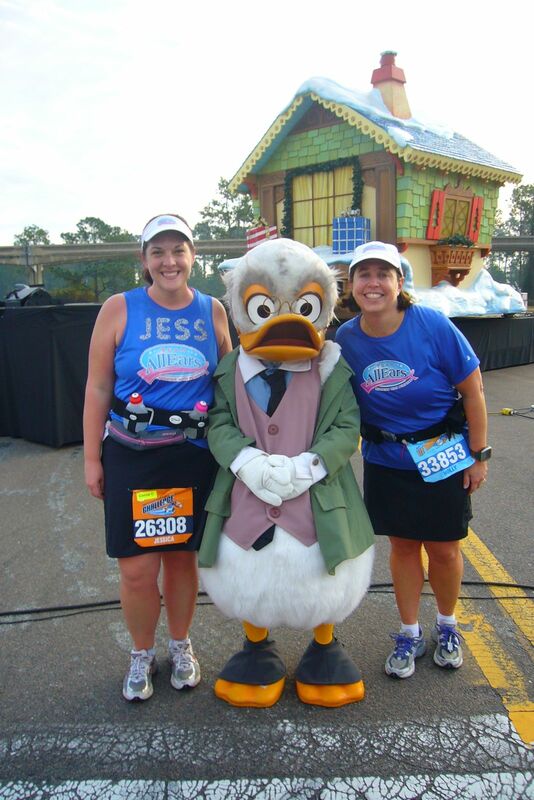 Jessica and I got in our groove of run/walk pretty quickly. We saw the first Team AllEars cheering section right after Mile 1 and it was a great boost. 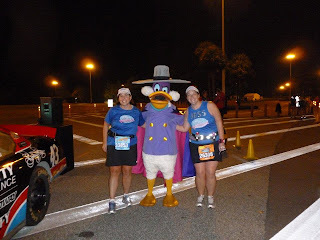 We stopped for our first character picture right around the Transportation and Ticket Center (TTC), Darkwing Duck! 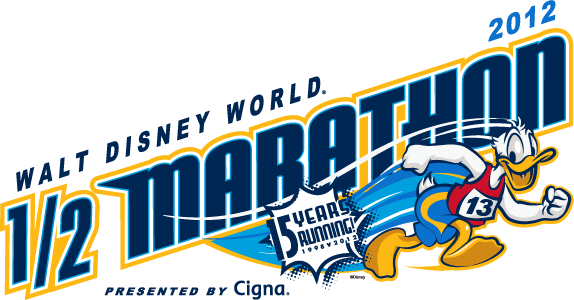 Soon we were already entering the Magic Kingdom around Mile 6. It still gets me everytime. Nothing better than running up Main Street, USA with the castle in front of you. We saw the next Team All Ears cheering section, headed by Dave, and they did a great job of cheering us on. 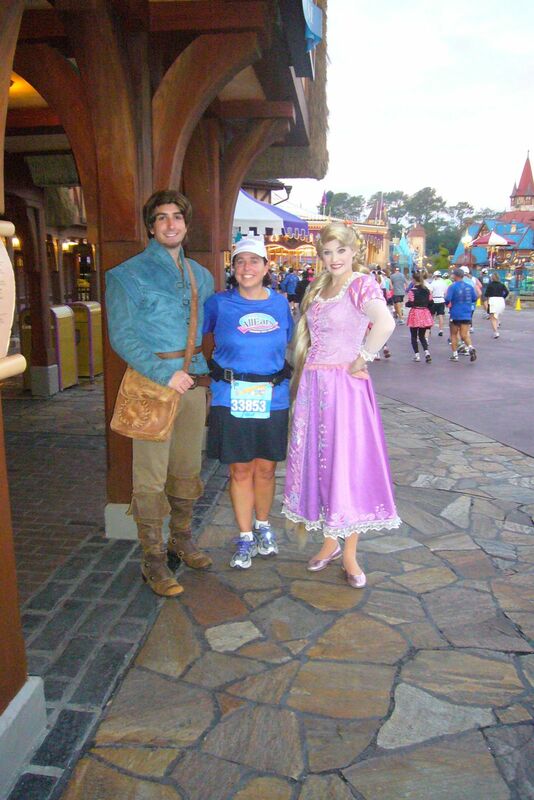 We stopped for pictures with Rapunzel and Flynn, then with Tiana and Naveen. 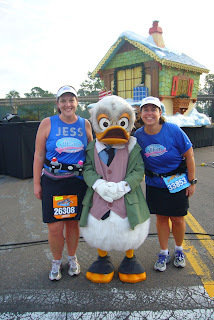 We also go to see Mary Jean and Nancy at the water stop here. All too quickly we were leaving the Magic Kingdom and heading to the worst part of the course: The Grand Floridian and Polynesian. It is so congested in that section. We then saw Laura and Mary Beth with the Thingamajig! It was awesome. We ran down World Drive and stopped for one more picture, Ludwig Von Drake. 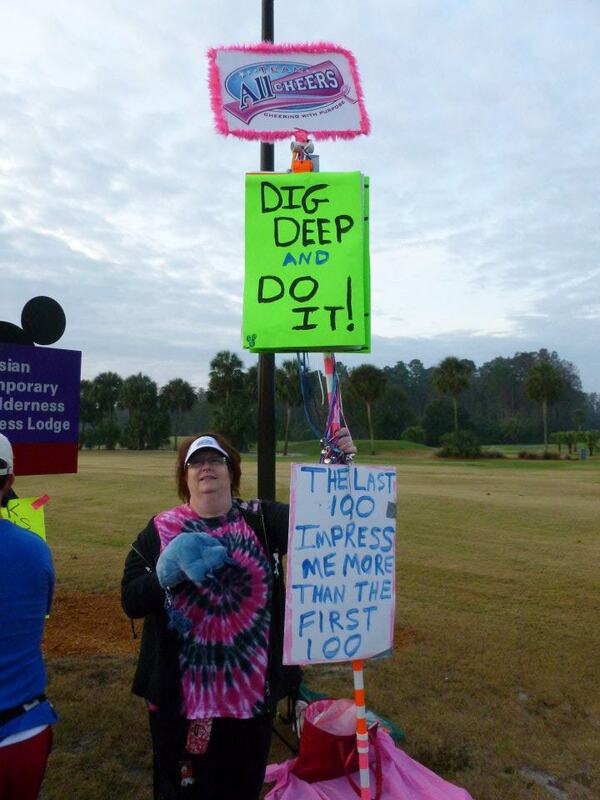 We saw Deb and the rest of our wonderful cheerleaders at Mile 11 and Dave one more time at Mile 12. 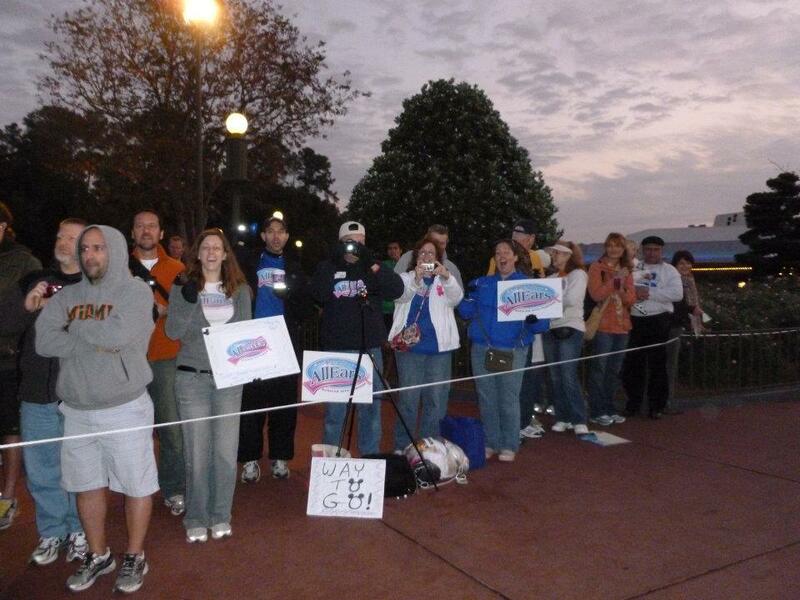 When we were back in Epcot other Team AllEars runners surrounded us! 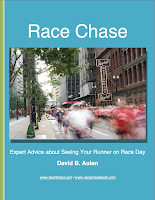 It was so cool to finish the race with so many friends. 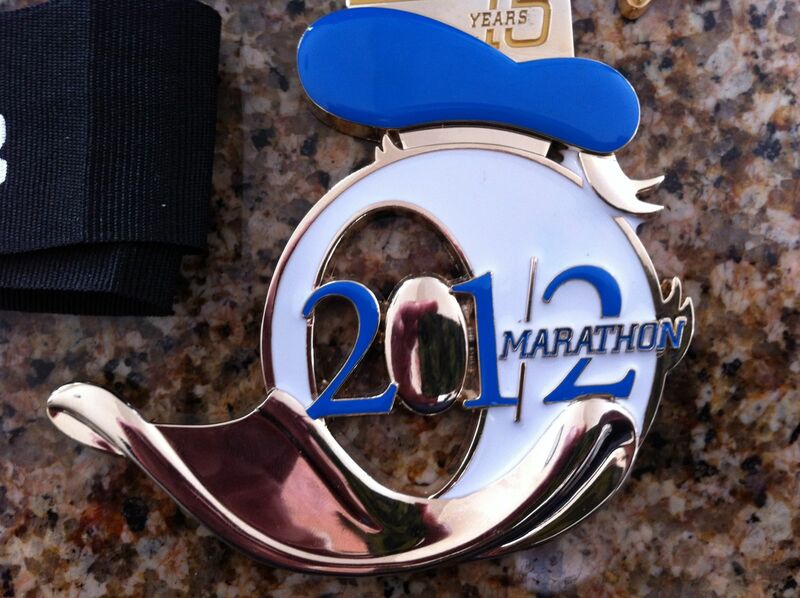 We got our super cool Donald Duck medals and made our way out of the area to recover and do it all again the next day.